Yesterday afternoon one of my colleagues asked me when my next shift is and how long a day it will be for me. Upon hearing I was doing eight thirty up to six today she smiled and said that it will a treat. 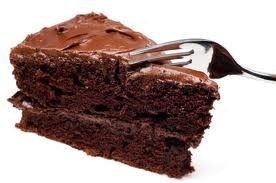 Now I don’t know about anyone else, but a treat for me is a piece of chocolate cake. Working an eight and a half hour day doesn’t really qualify. It’s not an indulgence; it’s not something I’m going to feel guilty about afterwards and it isn’t surpluses to requirements. It’s something that is absolutely necessary in order to gain independence, new friends and most importantly money. Money is needed for absolutely everything. People who quote the old adage saying “money doesn’t guarantee happiness” I know where you are coming from. Really I do, but if you don’t have any money from working…let’s just say there isn’t much you can achieve in life without it. So a treat no, but the people I work with are really nice. The work familiar but with enough challenges to help me learn, and the cream cakes and chocolate bars in the kitchen area, delicious.